Recently qualified Certified Putting Instructor (CPI) John Murray, who took advantage of the special opportunity from the PGA in Scotland, is set to swing into 2019 with some exciting plans for Moray Golf Club in Lossiemouth, Scotland. Murray will be setting up an indoor swing studio and area for putting which he hopes will be up and running by the end of January. It will be a center to deliver indoor lessons and help golfers play better but also to have social golf activities and a place to gather to discuss golf. “The new center is one of the reasons why I signed up for the CPI Course. Putting is an untapped area. 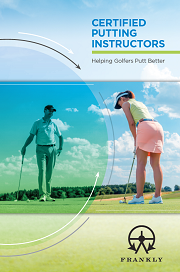 In the past lessons were simply eyeballing and a few tweaks here and there out on the putting green. The CPI qualification helps me add a more focused service I can provide my members,” said Murray who found the CPI Course experience very helpful. 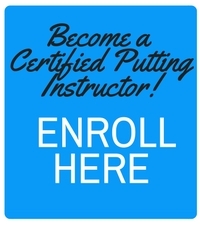 “The CPI Course is structured and helped me think more about everything related to putting. Fitting, putter technology and other elements. It really brought everything together. There were many highlights to the CPI Course and it helped me develop a mental checklist to use when delivering my putting lessons. Murray was introduced to the game by his grandad, at the age of 11 and became a junior member at Rothes Golf Club. He left the Elgin area to complete a BTech (Hons) Degree from Glasgow University and was offered a summer job at the world renowned Gleneagles. It was there that Murray completed his PGA training with a fantastic team of fellow professionals and spent nine years working and teaching at the prestigious Gleneagles Academy. He became Senior Golf Professional before an opportunity arose to return to his roots and become the golf professional at Moray Golf Club where he has been for ten seasons. Murray continues to learn and looks forward to helping Moray Golf Club members develop their game, by fostering a better understanding.